May is an enjoyable month, with flowers in full bloom and the promise of warmer weather on the way. May is also National Stroke Awareness Month, and a great time to educate yourself on how to manage stroke risk factors and reduce your risk of stroke. While some risk factors for stroke are unavoidable, such as age, gender, race and family history, many are controllable. According to the National Stroke Association, up to 80 percent of strokes can be prevented by working closely with a healthcare professional to manage, reduce or eliminate risk factors. Controllable risk factors for stroke include high blood pressure, diabetes, high cholesterol, obesity and smoking. Experts at GBMC’s Primary Stroke Center state that the risk of stroke is significantly decreased when these risk factors are addressed. Simple lifestyle changes can help you drastically reduce your risk. Since high blood pressure is the leading cause of strokes, be sure that your primary care physician is regularly monitoring your blood pressure and that you take any blood pressure medications exactly as prescribed. If you have diabetes, be sure to eat a healthy diet, exercise regularly and take all medication as prescribed. If you are obese, consider a weight loss program; the risk of stroke increases even if you are only 20 pounds overweight. Quitting smoking will significantly reduce your risk—smokers are twice as likely to have a stroke as non-smokers. Other healthy lifestyle changes, such as becoming more physically active, help reduce your risk of stroke. 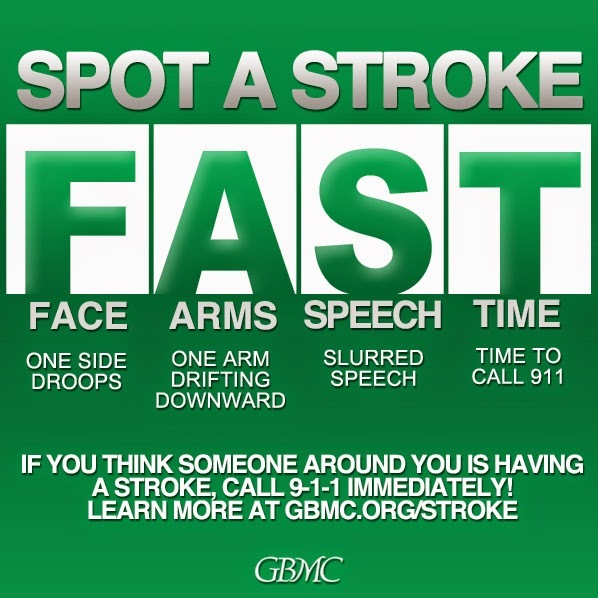 If you think someone is having stroke symptoms, you should always call 911, even if the symptoms go away. The warning signs of a stroke can be explained using the acronym FAST, which stands for Face, Arms, Speech and Time. If you suspect someone is having a stroke, ask them to smile. If one side of the face is drooping, this is a clear indication for stroke. Next, ask the person to raise both arms. If one arm is drifting downward, this is another clear indication of stroke. To check if the person’s speech is slurring, a possible sign of stroke, ask them to say a sentence. 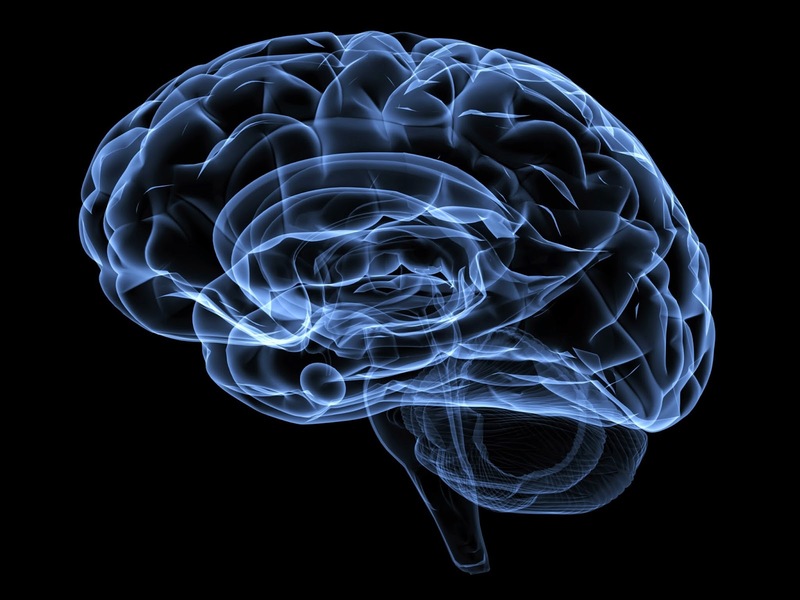 Mumbled, slurred speech is a common occurrence during a stroke. Lastly, time is of the essence: if you observe any of these signs, call 911 immediately. Don’t forget to protect your skin, even during the winter and on overcast days. 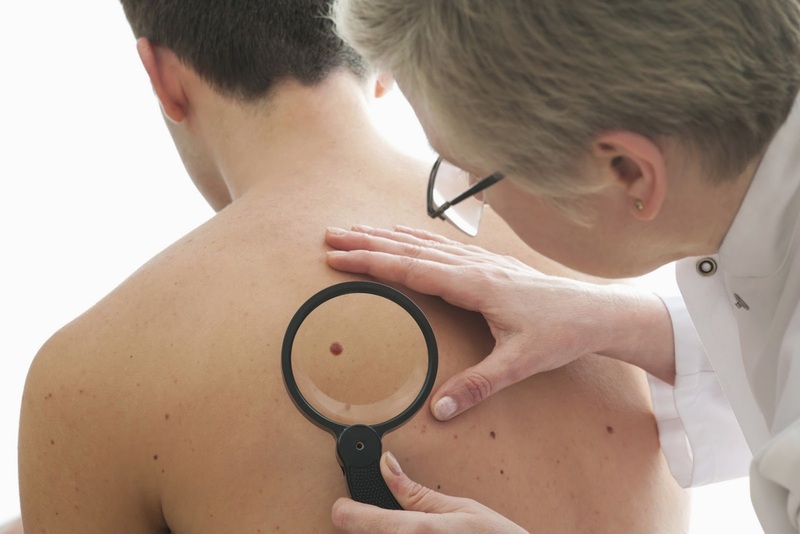 Certain characteristics can increase an individual’s risk for skin cancer. These risk factors include having fair skin, a family or personal history of skin cancer, history of sunburns and/or indoor tanning, having skin that burns, freckles or reddens easily, having blue or green eyes or blond or red hair and having certain types and a large number of moles. Luckily, anyone can perform a self head-to-toe examination to keep track of skin changes that could indicate cancer. It’s easy to do - just note the appearance of spots on your body, paying close attention for asymmetry, jagged or uneven borders, uneven color and diameter larger than a pea. If you notice anything different, such as a new growth, a sore that won’t heal or a change in a mole, consult your physician or dermatologist. For individuals at increased risk of developing skin cancer, an annual skin exam might help put their minds at ease. For a patient who has never had an atypical mole or very few atypical moles, the examination is quite brief – about 10 minutes. Those with more suspicious spots or growths may require longer appointments. In some cases, your dermatologist might biopsy, or remove a sample of skin, from a suspicious area for further testing. If you’ve noticed any specific changes or areas of concern during your self exams, don’t be shy – point them out to your doctor and ask questions. GBMC periodically hosts $15 skin cancer screenings. The next skin cancer screening is taking place in GBMC’s Radiation Oncology department on June 10. Click here for details. To schedule an appointment, call 443-849-3080 or register online. If you have arthritis, you’re familiar with aches and pains in your joints as you go about your day. Living with arthritis can be difficult on its own, and incorporating exercise to your lifestyle can present its own set of challenges. Exercise, done in the correct way, provides multiple benefits to those with arthritis, but it’s important to protect your joints when exercising so you reap all the benefits of exercise without incurring any additional pain. Exercising strengthens the muscles around your joints and aids in maintaining bone strength, which can help reduce inflammation, a large cause of arthritis pain. 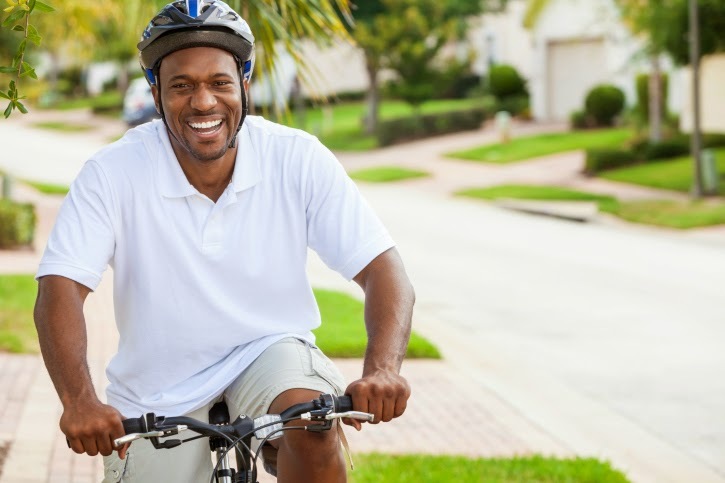 Below is a compilation of tips to keep in mind when exercising, so you can still remain active while living with arthritis. Take care of your feet. Talk to your physician to determine if shoe inserts are right for you. Joint pain can occur if your feet are not properly supported during activities such as walking. Protect your fingers. If you have pain in your fingers, a brace or splint can help support the joint while you are exercising to diminish pain and remove any distractions. Brace your knees. Arthritis sufferers with knee pain will benefit significantly from the use of a knee brace during exercise. The brace stabilizes the kneecap and the compression can help reduce swelling. Many prefer to wear a knee brace all the time; talk to your doctor about what the best option is for you. Turn up the heat to lower your level of pain. Experts recommend applying warm heat to painful joint areas before exercising. The heat can relax your joints and muscles and help you avoid injury. Using a warm compress, such as a hot towel, on the area for about 20 minutes will prepare you for a workout. Cool down properly. Following a workout, apply ice to any areas that feel painful to reduce potential swelling. Dr. Lee Schmidt, orthopedic surgeon at GBMC, recommends sticking to exercises that are not too strenuous. “Individuals with arthritis are encouraged to try exercises that are easy on the joints, like walking, although patients may want to avoid hills, which place additional strain on the joints,” he notes. Dr. Schmidt states that other safe exercises for those with arthritis include use of a stationary bike, pool/aquatic exercise, swimming, using an elliptical machine and restorative yoga. The Arthritis Foundation offers guided exercise videos on its website. To view this resource, click here. The Foundation also has walking groups in many areas. Contact your local chapter for more information. 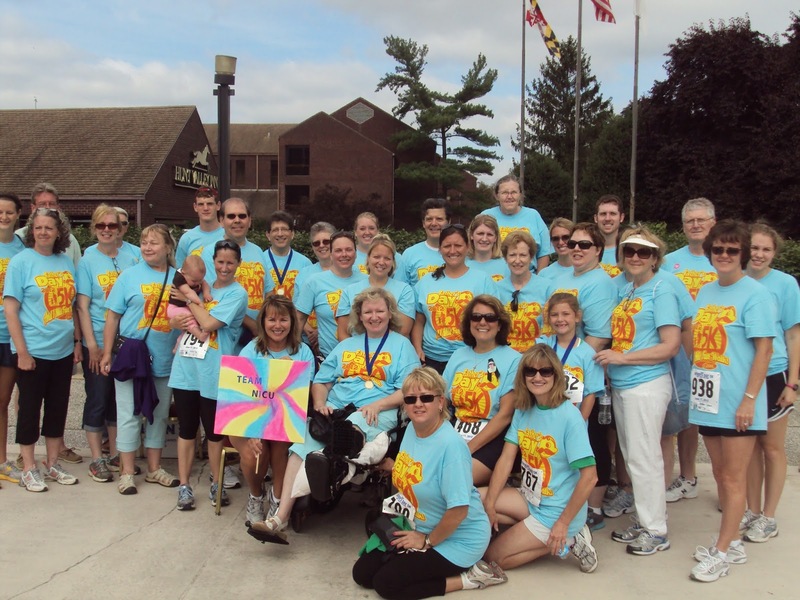 Help Support Premature Babies at the Father’s Day 5K! Caring for more than 400 critically ill and premature babies a year is a difficult feat, but GBMC’s Neonatal Intensive Care Unit (NICU) continually strives to change the lives of the community’s tiniest patients and their loved ones. GBMC’s NICU is rated as a Level III unit, meaning it is capable of providing complex medical and surgical care to infants as small as 23 weeks gestation and birth weights that might be below 500 grams (17.6 ounces). It participates in the Vermont Oxford Neonatal Network, which is dedicated to improving the quality and safety of medical care for newborn infants and their families. Capabilities of the GBMC NICU include advanced respiratory support, pediatric surgery, therapeutic hypothermia, inhaled nitric oxide therapy and a human milk bank. Three full-time neonatologists collaborate with additional physicians, registered nurses, respiratory therapists, advanced practitioners and more on each child’s condition, so parents can rest assured their baby is receiving the highest quality, personalized care. GBMC’s NICU staff does amazing things for little ones in need and can continue to improve care options for critically ill babies with the generous contributions of supporters like you! If you’d like to help, consider participating in GBMC’s annual Father’s Day 5K and 1 Mile Fun Walk on Sunday, June 15 at 8:00 a.m. Enjoy the wonderful weather and beautiful campus while celebrating fatherhood! All proceeds benefit the NICU. The last day to register online is June 11, 2014. You can also register in person at any of our packet pick-ups on Friday, June 13 or Saturday, June 14. Walk-up registration on Sunday, June 15 is also available! Visit www.gbmcfoundation.kintera.org/fathersday5k for more information on the Father’s Day 5K and 1 Mile Fun Walk or to register. Visit www.gbmc.org/nicu to learn more information about GBMC’s NICU. Place lettuce in a large bowl. Layer peas, bell pepper, tomatoes, celery and scallions on top. Whisk yogurt, mayonnaise, vinegar, sugar to taste, garlic powder, salt and pepper in a medium bowl until smooth. Spread the dressing evenly over the top of the salad (an offset spatula is handy for this, if you have one). Sprinkle with cheese, basil and bacon. Serve room temperature or chilled. Make Ahead Tip: Cover and refrigerate for up to 1 day. Sprinkle with basil just before serving.